June 1, 2019 A date for your 2019 diary! We’re still developing plans for a repeat of our much enjoyed 2017 Dome Day. Please keep checking back here for more information as it becomes available. Brilliant news! An American donor will match any money we raise from the crowdfunding page we’ve set up to fund the refurbish and display the lovely replica Spitfire we were donated in 2018. So anything you donate will actually be worth twice as much! playing a key role in both World War 2 and the Cold War. / Walk in the footsteps of the service men and women who were stationed at Langham during and after World War 2 and hear stories of their bravery and sacrifice. / Enjoy our thought-provoking displays and learn more about the Dome from our friendly and knowledgeable volunteers. 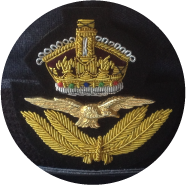 Why not try your hand at Morse code using our Wellington bomber radio. 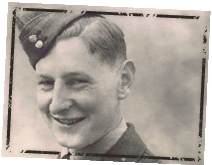 / Find out about Langham pilot Jeff Rounce, a local man who won the RAF’s Distinguished Flying Cross for bravery in World War 2. 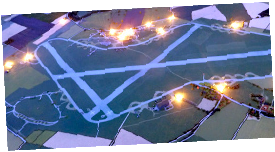 / Explore an interactive model of the airfield. 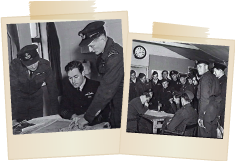 / Play our table-top board games to find out more about military missions and daily life at RAF Langham. / See what you look like in uniform in our dressing up locker.